Black Oak Arkansas ‎– If An Angel Came To See You, Would You Make Her Feel At Home? ℗ 1972 Atlantic Recording Corporation. 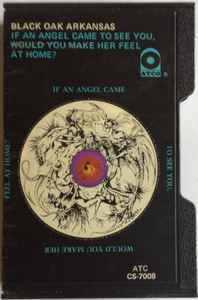 Early U.S. cassette issue released as ATC CS-7008 by Atco Records.